A nurse who preferred anonymity because she was not authorised to speak to the press shared her experience with regard to provision of healthcare services to people in the grassroots and some of the immediate and remote reasons , many health workers decline to go to some communities to work. “I am a nurse. An experienced one with over 27 years in active practice. I started as traditional birth attendant (TBA) in a town called Kubacha not too far from Chukula. Along the line, I got employed by the state government. I have since upgraded my qualifications by attending nursing school. “See, it is not as if some of us deliberately refused to go to some places after deployment. Its sometimes beyond us. You spent all your earning transporting yourself from where you live to where you work daily. “For example, in the village you went, you can see the settings yourself. Nowhere to sleep. It is just recently that the government was building quarters around some comprehensive PHCs so two or more health workers posted there can have where they can put up. “Apart from that, sometimes your security too is not guaranteed. We have instances where colleagues have been robbed and even raped on lonely path. I’m not saying this happened in Chukula, but it is part of experience. “Though I am not speaking for governmentally, what I think can be done to save some of our pregnant women is for the sons and daughters of these remote communities to get professional qualifications so they can possibly work within. “I have also seen a situation where a lady went to nursing with intention of going back to her community to work. Fortunately for her, she was employed by the State government and posted to the community. But in less than a year, she got married and her husband moved her to far away Enugu state. “But even at that, many of them will still want to be in town where they can enjoy basic amenities such as communication network, electricity and all that. This, of course, has led to over concentration of health workers on towns and cities why only few are in grassroots,” she hinted. Reacting to the plight of the people of Chukula and other emerging communities, Commissioner, Kaduna State Ministry of Health and Human Services, Dr. Paul Dogo said, the state government under the present administration is committed to improving the health of the people in Kaduna State. The Commissioner who was the Permanent Secretary in the ministry before his present appointment as Commissioner three years ago by Governor Nasir El-Rufai , added that, the health sector is undergoing a reform to capture every group of individuals in the state. To him, “when this administration came in three years ago, it saw the need the to do series of intervention in the health sector. About 1,000 frontline health workers were employed between 2016 and 2017 and were evenly deployed to provide healthcare services to our people. That was because, there was no major recruitment in the sector for more than ten years. And some have retired, some have resigned and some were dead. “As we speak, we have increased budget for health. The state government has also giving us the opportunity to recruit about 3,000 additional health workers which include community health workers, environmentalists, pharmacists among others. In his own view, Director, Primary Health Care, Kaduna State Primary Health Care Development Agency (KADPHCDA), Doctor Neyu Iliyasu, also affirmed the earlier position of the commissioner that, the state government was increasing budgetary allocation for health. 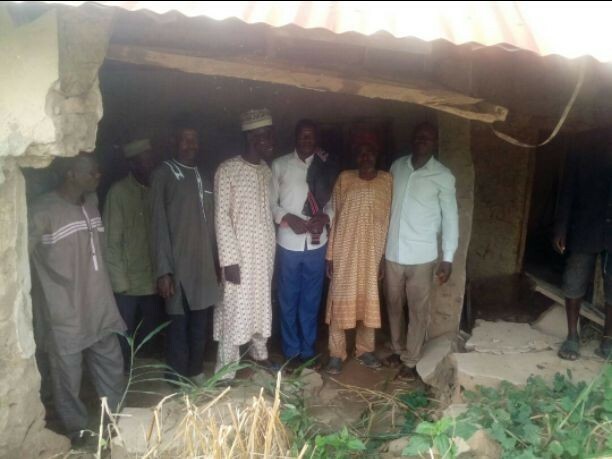 He queried whether the people of Chukula have written to the authority especially, their local government about their plight specially now that the state government had asked the agency to investigate such for action. “23 medical doctors have just been posted to each of the LGAs. In each ward, there is PHC with right equipment. They are also deploying staff to ensure these PHCs work round the clock. “Apart from these centres, there are other clinics attached to each of the PHCs .There are at least, six primary healthcare clinics attached. The essence is that, unlike before, each PHC use to provide service within about five kilometers radius. “Then, the places where this did not reach, they enjoy what we call outreach. Health workers from the existing facilities would reach out to these hard-to-reach communities at least once in a month. “But now, the Governor said, five kilometers is not acceptable because its too far. He asked that, it should be reduced to two kilometers. So, if this type of place do not have facility for now and they report, we will ensure it is captured in the map for outreach, at least. “Let me quickly add that, we are working towards universal health. That was why the governor is working hard to ensure that by December 2018, the health insurance contributory system takes off.